In the state of Florida, you can be convicted of a DUI offense if the prosecution can prove that you had a BAC or blood alcohol content of 0.08 or higher or that your faculties were so impaired that you should not have been operating a motor vehicle. A DUI charge is not proof that either of these were the case, which is why it is so important to retain the services of a qualified defense attorney when you have been arrested and charged with DUI. The evidence that the prosecution will present must be credible enough to convince a jury. Although law enforcement authorities or prosecuting attorneys may try to convince you that the case against you is airtight because of the evidence, it is important for you to remember that your South Florida DUI lawyer may be able to call the prosecution’s supposed airtight evidence into question. At the law firm of Leader, Leader & Zucker, PLLC, we have highly skilled DUI lawyers who have years of experience in defending clients who have erroneously been charged with DUI in Fort Lauderdale and surrounding areas. When you arrange for an initial consultation with one of the DUI lawyers at the Fort Lauderdale law firm of Leader, Leader & Zucker, PLLC, we will evaluate your case to determine the strength and reliability of the charges that have been brought against you. Because there are always a variety of circumstances that can affect any Fort Lauderdale DUI case, your lawyer will want to know things like whether or not an accident occurred or if you were charged with DUI following a routine traffic stop. If there was an accident, were any injuries involved? If you were pulled over, what was the initial offense? An experienced DUI attorney will also ask you about things that may seem to have little bearing on your DUI charge, such as whether or not you have any sort of neurological disorders or if you suffer from diabetes. You will also be asked about any medicines that you may have taken on the date that you were charged, as well as the road conditions at the time of your arrest. Though some of these questions may not seem to pertain to a DUI, the answers to all of them will enable your Fort Lauderdale DUI attorney to determine the best ways to defend the DUI charges that have been brought against you. Once such determinations have been made, your DUI lawyer will be able to answer the questions that you will undoubtedly have about the charges you are facing, your case, and the possible scenarios that could ensue depending upon the course of action that you and your criminal defense attorney choose to follow. Because you were charged with DUI, your license will automatically be suspended unless you request a hearing to contest the suspension. Time is of the essence in scheduling this hearing. When you work with a DUI lawyer Fort Lauderdale at Leader, Leader & Zucker, PLLC, the hearing will be scheduled for you provided the deadline hasn’t already passed. We know how important it is that you be able to drive your vehicle, and we will petition the court to that effect on your behalf. – Other Areas of DUI Essentials. Do I Have a Defense? 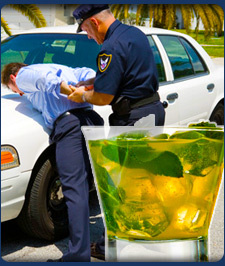 A DUI charge can bring about a conviction, which is no laughing matter. Even a first time conviction for DUI can have serious consequences that will affect you and your family. When you need an experienced and knowledgeable DUI attorney, Leader, Leader & Zucker, PLLC has decades of experience that yield results in defending clients against DUI charges. The DUI attorneys at Leader & Leader have a proven track record of success. Do not leave your future to chance, fill out our FREE CASE REVIEW form at www.criminallawleader.com/contact-us/ or call 954.523.2020 24 hours a day, 7 days a week for an initial consultation. Our DUI lawyers in Fort Lauderdale are here to help you defend your freedom and your rights when you are charged with DUI in South Florida.